During this time David describes Rainbow Trust’s support as a ‘God send’. The hospital recommended Rainbow Trust and David, his wife and daughters soon met Christina from the Surrey care team. Christina visited the family once or twice a week overnight and watched over Eloise and her twin sister Naomi while their parents got some much needed sleep. When David turned 40, he signed up for his first marathon in aid of Rainbow Trust, and in memory of Eloise, as a way to fundraise for the charity which had provided much needed emotional and practical support to his family. 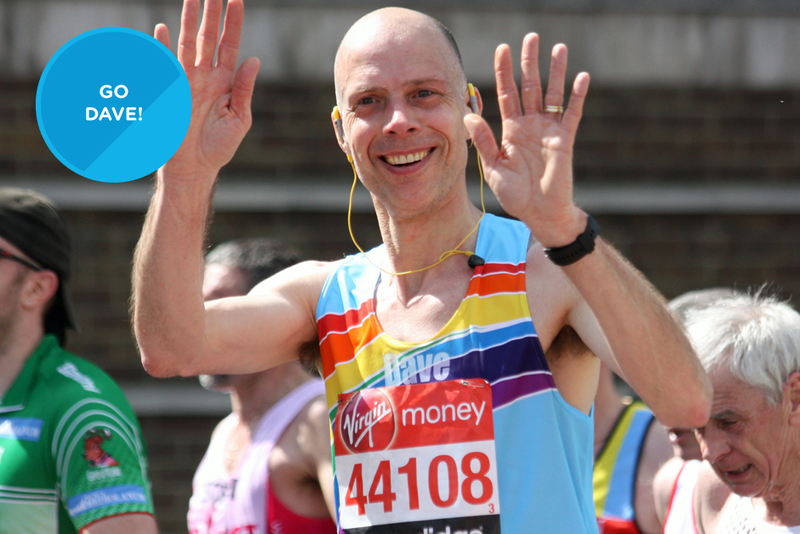 This year, 2015, will be David’s tenth London Marathon for Rainbow Trust. The family has also organised many fundraising events including cake sales, car washes, arranging horse racing nights and golf days,helping spread awareness of Rainbow Trust’s work. David and his family have raised over £25,000 for Rainbow Trust – enough to cover over five continuous months of support for a family in need.